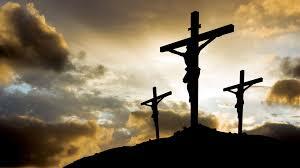 Join us at Noon on Good Friday as we gather at the foot of the Cross. Our service will include scriptures and hymns appropriate to the day, the reading of the Passion According to St. John, and a sermon preached by Pastor Greg. The entire service will last about an hour. We will be joined by our friends from the Brighton-Allston Congregational church in Brighton Center. We are a welcoming and affirming congregation, and your presence would enrich our worship. Please join us.